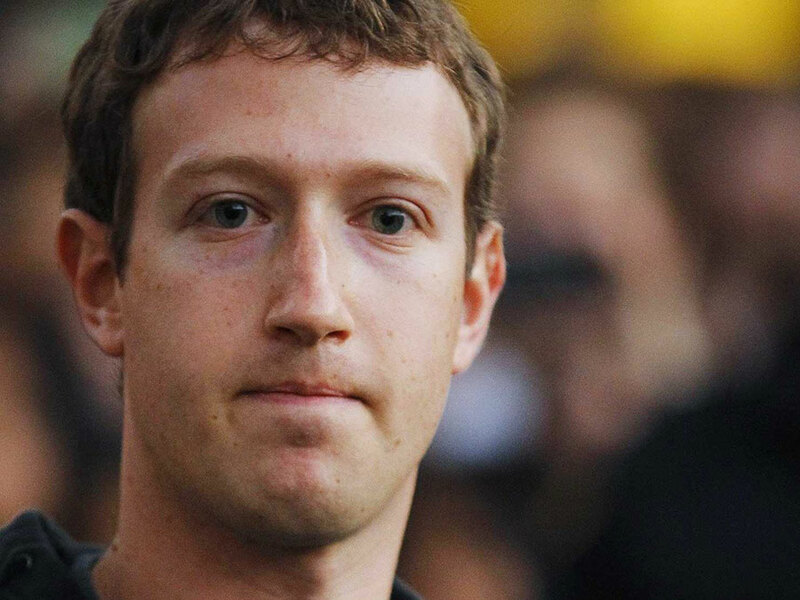 Facebook Inc (FB) founder Mark Zuckerberg briefly lost control over his lesser-used social media accounts on Sunday. A team called OurMine hacked Zuckerberg’s Twitter, Pinterest and LinkedIn accounts. It is unknown whether the hackers had Zuckerberg’s personal email. However, it makes sense due to the hacked accounts were likely to have something in common. Another possibility is that the Facebook founder was among the LinkedIn’s 2012 password breach, where 167 million accounts were exposed. The hackers even tweeted that Zuckerberg was in fact in the LinkedIn database, and offered a proof via DM, but never published it. 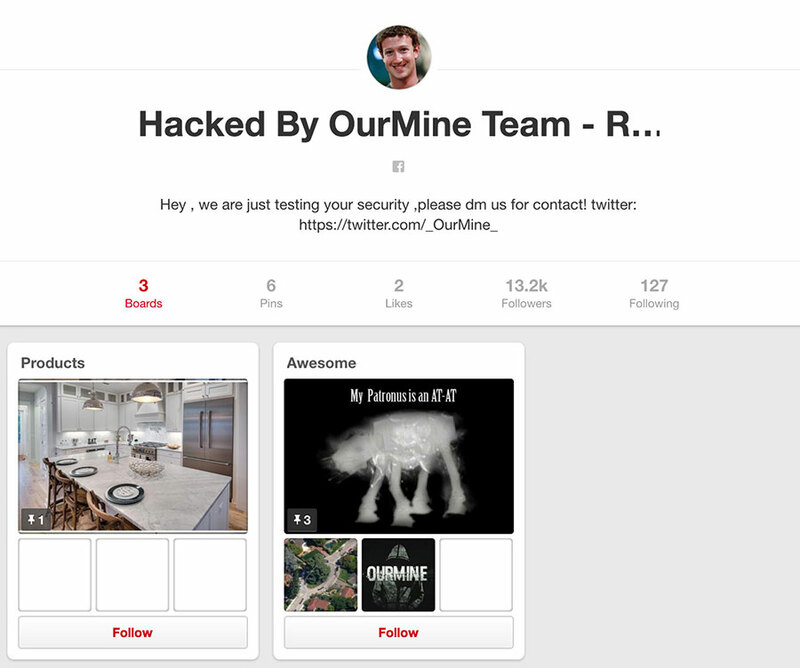 In Pinterest, the account’s named was changed to “Hacked by OurMine Team.” The evidence of the hack was deleted immediately by Zuckerberg’s team. Last month, emails and password data from the 4-year-old LinkedIn breach was published online. The company had stored passwords as unsalted SHA-2 hashes, which enabled hundreds of thousands of accounts to be quickly cracked and take part in improving the hacker’s password-cracking abilities, as reported by Techcrunch. Although the hackers claimed that the Facebook-owned Instagram account was also part of the attack, Facebook denied the alleged hack and assured the Facebook account was untouched as well. In Twitter, the Facebook Founder’s latest tweet was back in 2012. It was a link to a now-deleted blog post about SOPA, the American anti-piracy law. Also, the majority of his tweet were dated to 2009, as reported by The Guardian. It appears that the hacked accounts could have had the same email and passwords as the information published in the LinkedIn data, which puts the head of the social media giant as an ordinary person in need to make an easier logging into all his accounts, even though this were not used continuously. Reusing passwords is qualified as a standard human error by many experts, one of which the average person uses to deal with every login page they encounter. However, this represents a danger because if an account is hacked, then all the others with the same information will be hacked as due to to the low-security measures taken by the user. Zuckerberg is the latest example of this common problem. Twitter uses a two-factor authentication that aims to ensure that the person with access to the account has access as well to the saved phone number in the account. But, this measure was introduced after a year of Zuckerberg’s most recent tweet, so the CEO could not have known about it. Facebook did not share any comment about the recent hack or any security measures taken to avoid further incidents. The company just assured that in the compromised accounts, Instagram and Facebook were not part of them. Another recent hack was made to pop singer Katy Perry on Twitter, the current most followed person on the microblogging service. The hacker posted some racists and offensives tweets when in control, but were deleted after control was taken once again by the singer’s team.